Amanda Blocker, senior in microbiology, and Scott Hamilton-Brehm, assistant professor of microbiology, look at a sample in a laboratory at Southern Illinois University Carbondale. 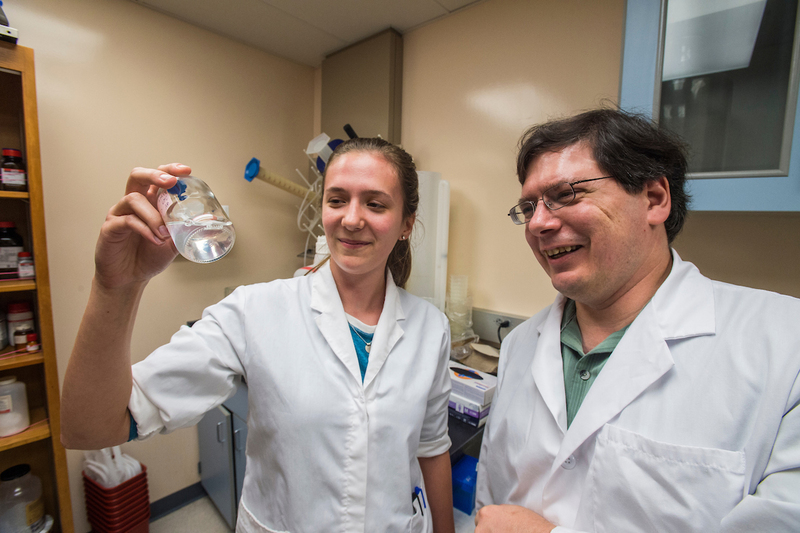 Working under the guidance of Hamilton-Brehm, Blocker is studying a microbe that he isolated from a 900-meter-deep borehole located on the border between California and Nevada. The novel anaerobic microorganism, designated “SIUC-1,” loves hot temperatures, thriving at 150 degrees Fahrenheit. Blocker’s successful characterization of SIUC-1 would make her one of the few researchers in the world who will have named the first novel bacterium of a phylum. CARBONDALE, Ill. – Life: You find it in the darnedest places, and in all its weird glory. SIU emphasizes involving undergraduate students in real research as early as their freshman year. Blocker said having such an opportunity has helped her in many ways. 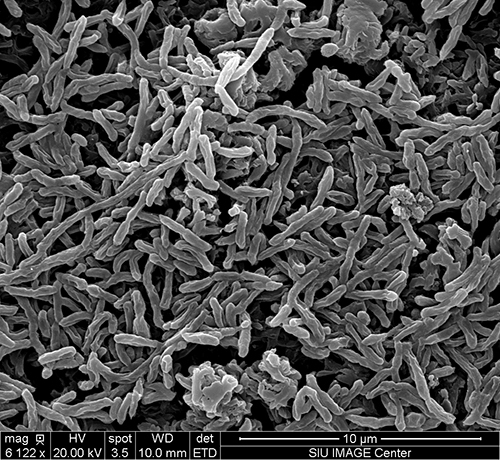 A novel, anaerobic microorganism designated “SIUC-1” is shown in microscopic view.